New York City can eclipse New York State much the way Paris can steal the spotlight from the rest of France. Tourists may flock to the Concrete Jungle, but New Yorkers head upstate when in need of a quick getaway. Hudson Valley is the darling of New York State – a natural playground of hiking, fall foliage and charming towns that dot the banks of the Hudson River. Waves of city slickers flock to Hudson Valley when in dire need of peace and quiet. It’s a change of pace from the crowded avenues and honking taxis that can choke up NYC, to the cobblestone streets and ivy-covered buildings of a small town. One such town is Beacon – about two hours away from Manhattan. 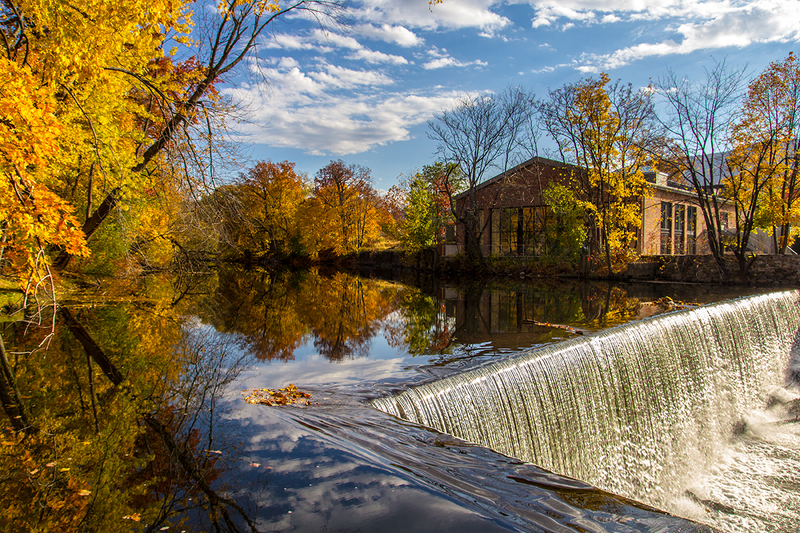 Beacon – in Duchess County – has become known for its farm-to-table cuisine, art galleries and stellar hotels. 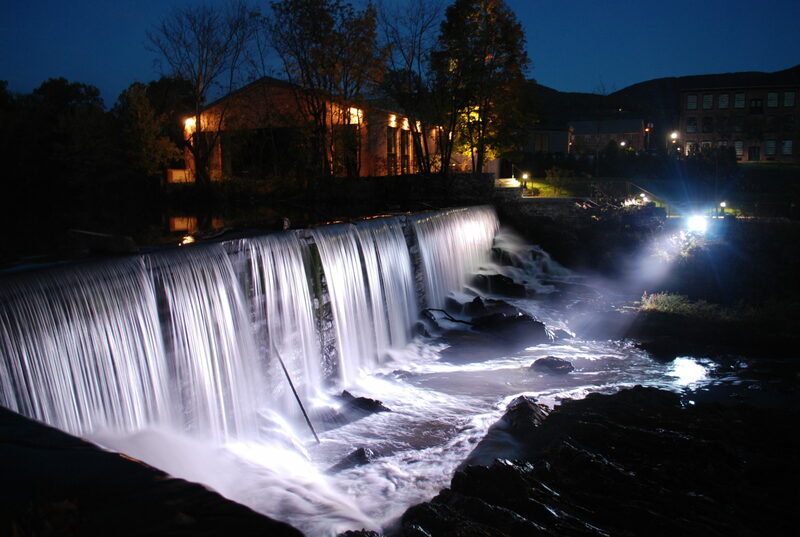 One such hotel is The Roundhouse, overlooking a rushing waterfall in a renovated industrial space. The historic Roundhouse was originally part of the Matteawan Manufacturing Company, a textile manufacturer and one of the first factories in Beacon. The property was left unattended and boarded up for years until a family bought the old factory in 2010 to convert it into the hotel it is today. 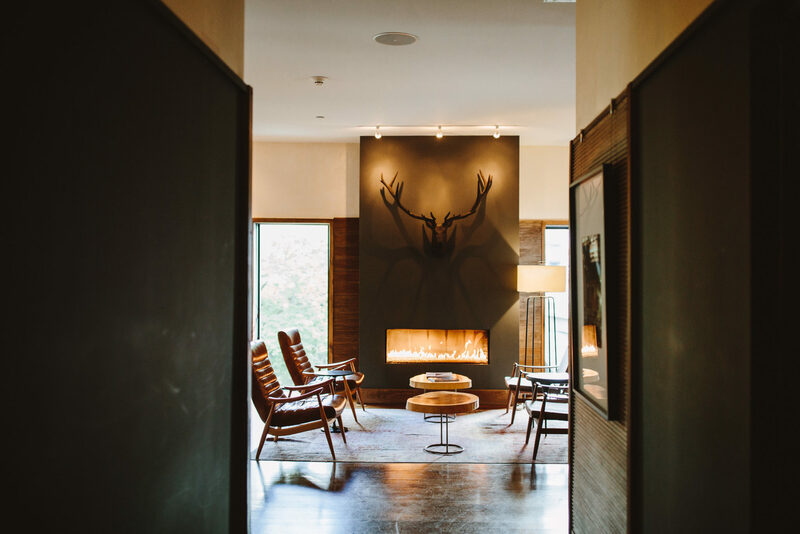 When you first walk into The Roundhouse, you’ll find the hotel to be warm and modern. A roaring fireplace is seen in the lounge, where guests can enjoy glasses of wine in plush armchairs. 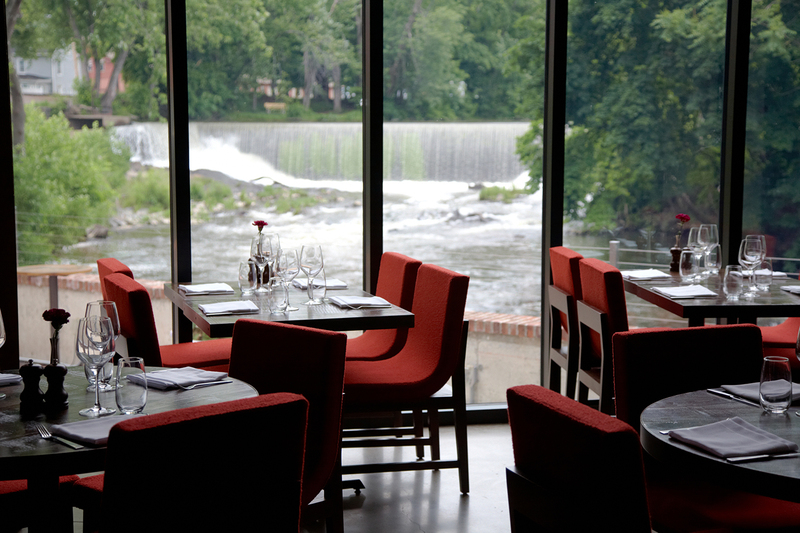 In the dining room, the view of the waterfalls is spectacular – outshone only by the farm-to-table cuisine created by talented, Chef Terrance Brennan. Farm-to-table is a theme of Hudson Valley, where the area offers a bounty of farm fresh vegetables, fruits and herbs for chefs to use. The Roundhouse restaurant – a destination in itself – prides itself on using locally sourced ingredients in its dishes. 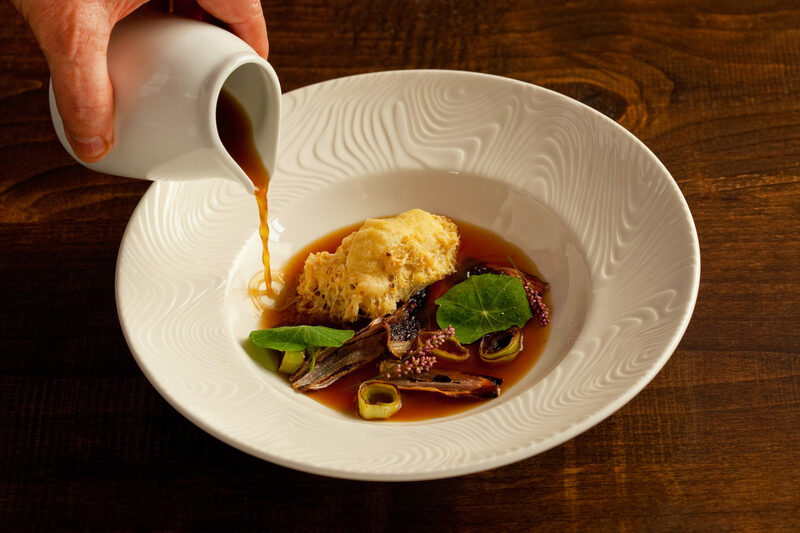 While most would anticipate a no-frills menu this far away from the city; The Roundhouse whips up complicated fare that requires imagination and skill to create. If visiting during the fall, go for the Pumpkin Bisque soup, which is – in a word – fantastic. If autumn has a flavor, this Pumpkin Bisque soup would most certainly be it. 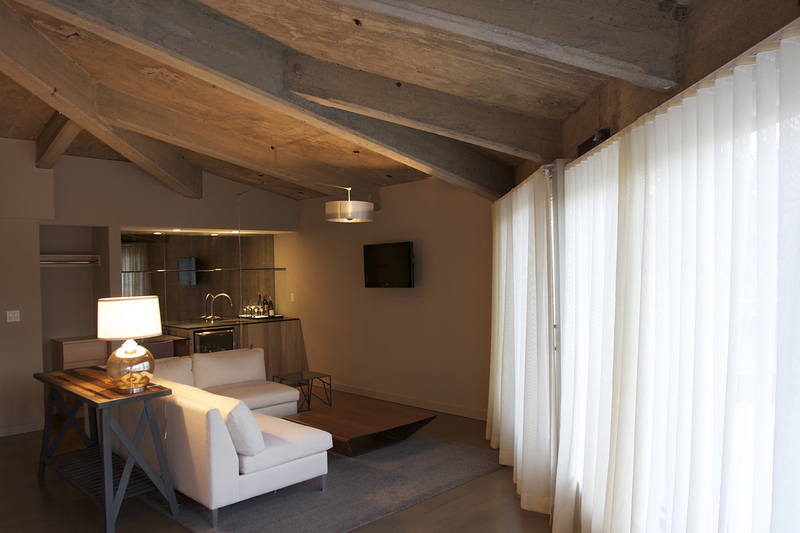 The rooms of the hotel are modern and sleek with wood everything. Best part of the room (for me, anyway) was the shower, which is larger than my entire bathroom back in the city. If you can, opt for the Penthouse suite, which sits atop The Roundhouse with an outdoor balcony and endless view of the waterfalls, river and surrounding city. Book a stay at The Roundhouse if you’re looking for the perfect, country getaway with access to scenic views. The Roundhouse is the sort of place you wear a cozy sweater, curl up with a glass of red wine by the fireplace and watch the roaring waterfalls in the distance. The Roundhouse is romantic, indulgent and the perfect place for a New Yorker – or anyone for that matter – to find some serenity. 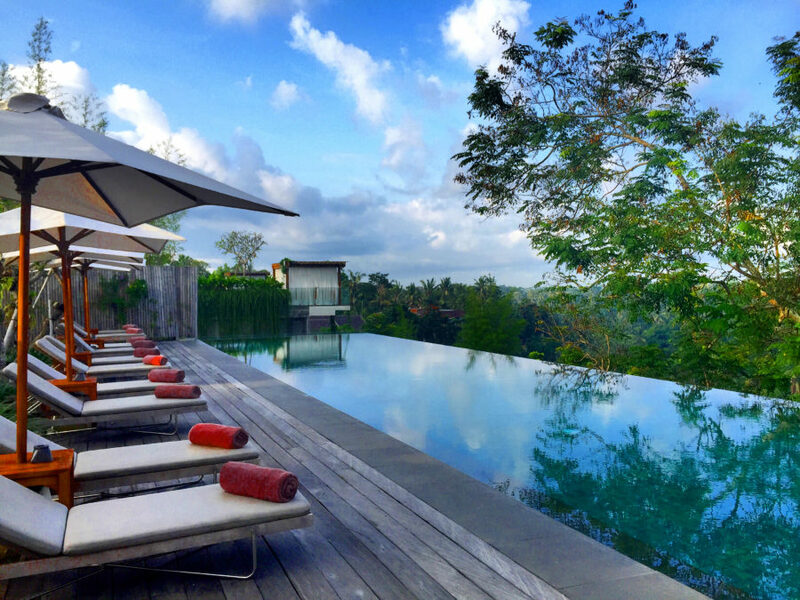 *The Roundhouse hosted me at their property for a complimentary stay. As always, any opinions expressed are my own.